Physical Evidence Analysis Gallery - Sasquatch Canada contains current and authoritative information on sasquatch and other homins. The only "part" of a sasquatch that has been allegedly collected is hair. Such have been found where the creature was seen and then sent for analysis. 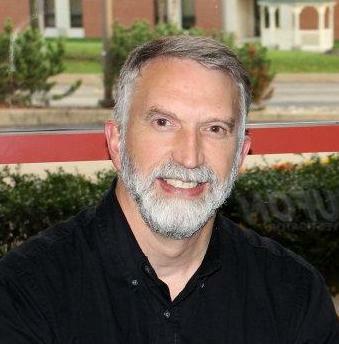 Dr. Hanner Fahrenbach is the key professional for such analysis. Hair provided has been found similar to human hair but it lacks a "medulla" (innermost layer of the hair shaft). Shown on the left are hairs (250x) from a deer, chimpanzee, human, and three sasquatch hairs. A medulla is uniformly absent in the sasquatch hairs. Several long sasquatch hairs. The color is noteworthy. It is a red/brown shade which is what many people report as the color of the creature they have seen. For certain, it is hair, not fur. As previously stated, it is very similar to human hair. Samples of various hair arranged for museum exhibits. 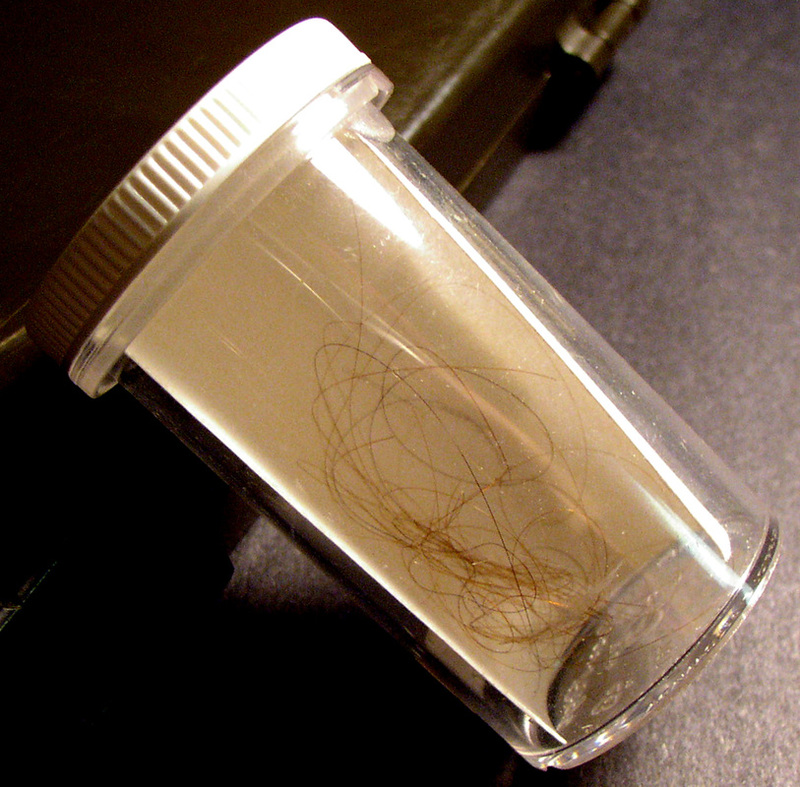 When hairs are submitted for analysis, they are checked against hairs of known animals such as those shown here and human hair. Humans are the only “natural” primates who live in North America, so if an analysis indicates a primate, then either a human or another primate of some sort is implied. If “human” can be reasonably excluded, then the sasquatch is strongly suspected. 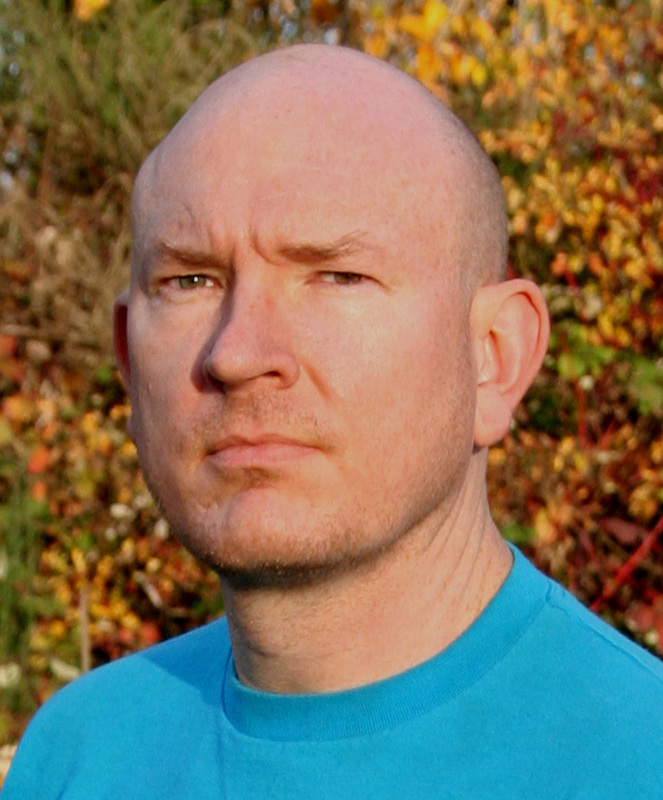 Dr. Jeffrey Meldrum, an anthropologist with Idaho State University, is the primary scientists involved in the sasquatch issue. He has been researching in this field for about 14 years. 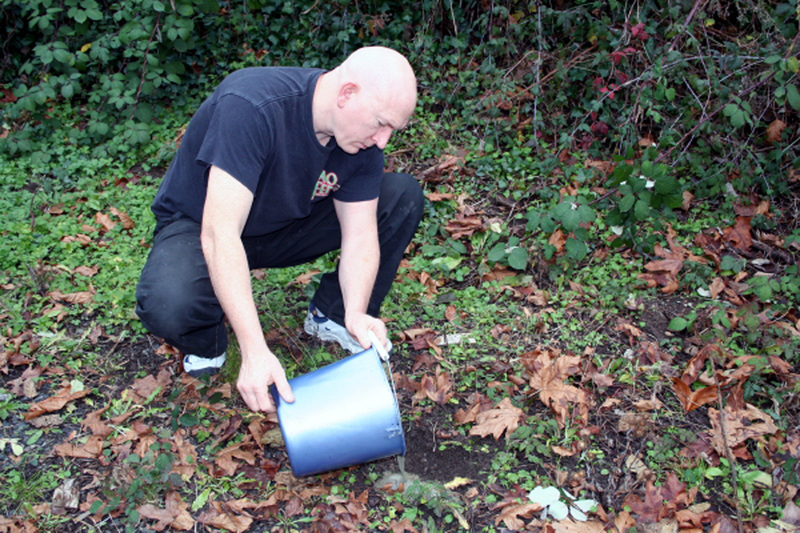 He found sasquatch footprints first-hand, such a those seen here. 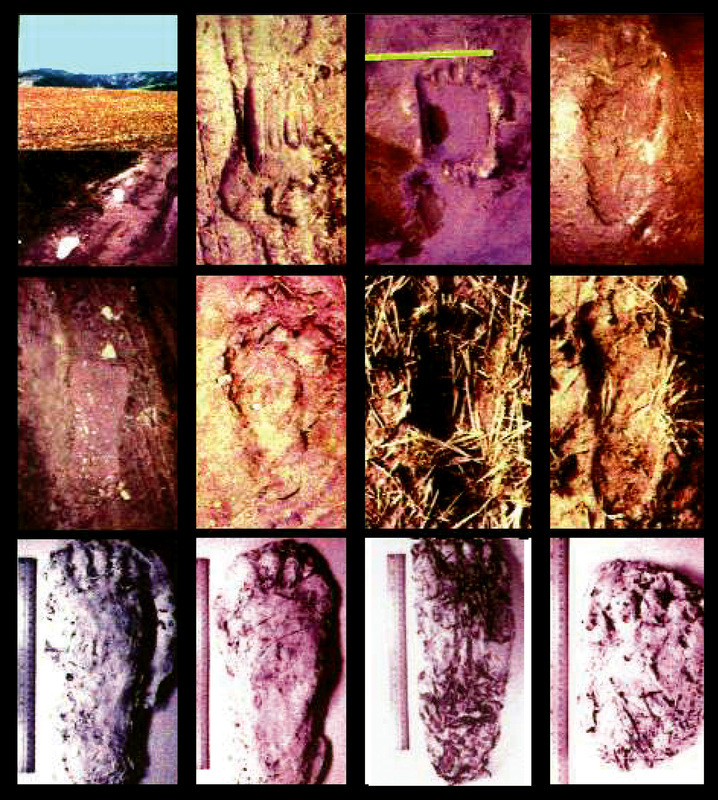 He has intently studied sasquatch footprints, footprint casts, and other related casts from all areas in the United States and Canada. 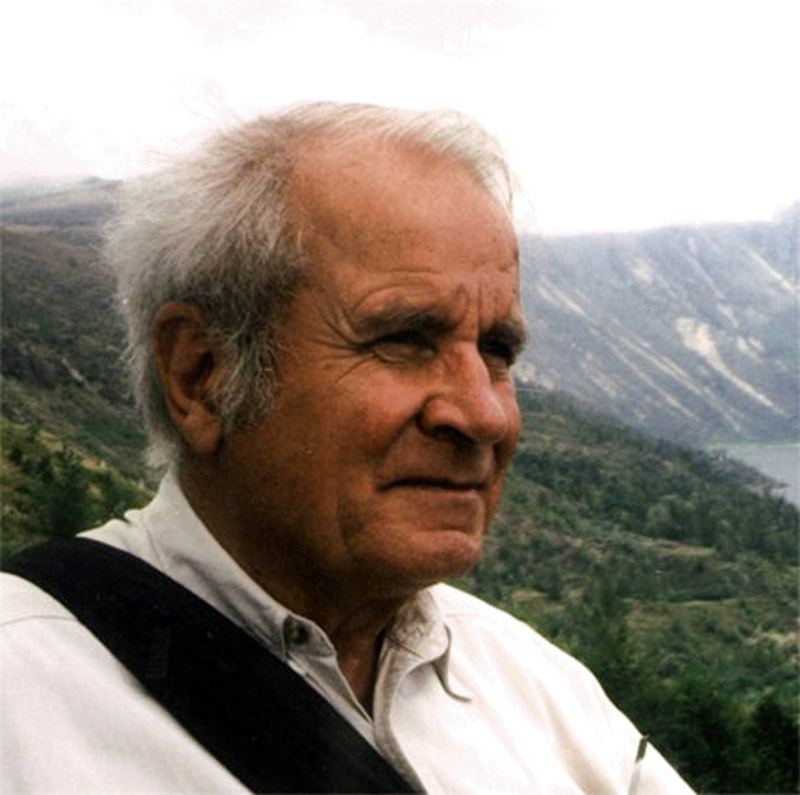 He pioneered scientific recognition of footprints as being those of some sort of creature. Dr. Meldrum’s conclusions (which fully support the existence of sasquatch), are provided in the “More Information” facility. 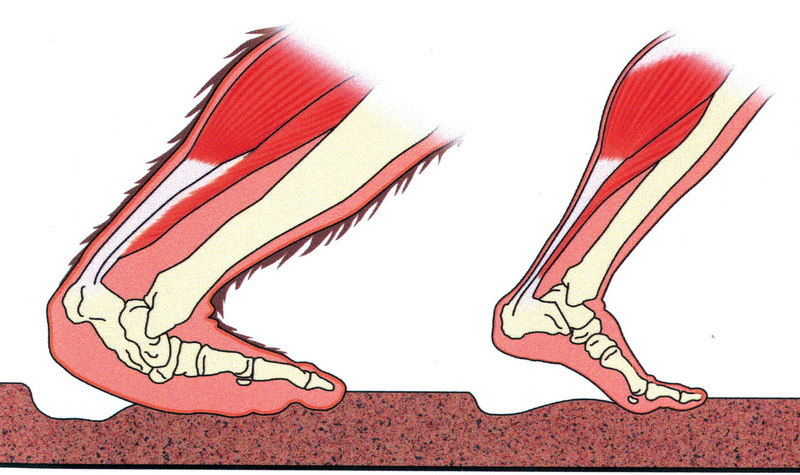 Sasquatch foot and human foot illustration from Dr. Meldrum’s studies. 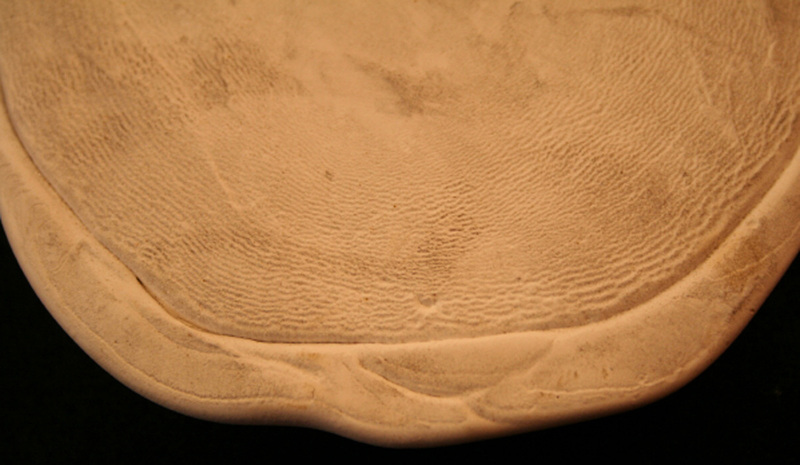 Dermal ridges are essentially skin patterns (like finger prints) that were first noticed by Dr. Grover Krantz in 1983 on sasquatch footprint casts taken in the Blue Mountains, Washington. Since that time they have been observed on several other casts. They were even noticed in an actual footprint by John Green as early as 1967, but no photograph was taken. 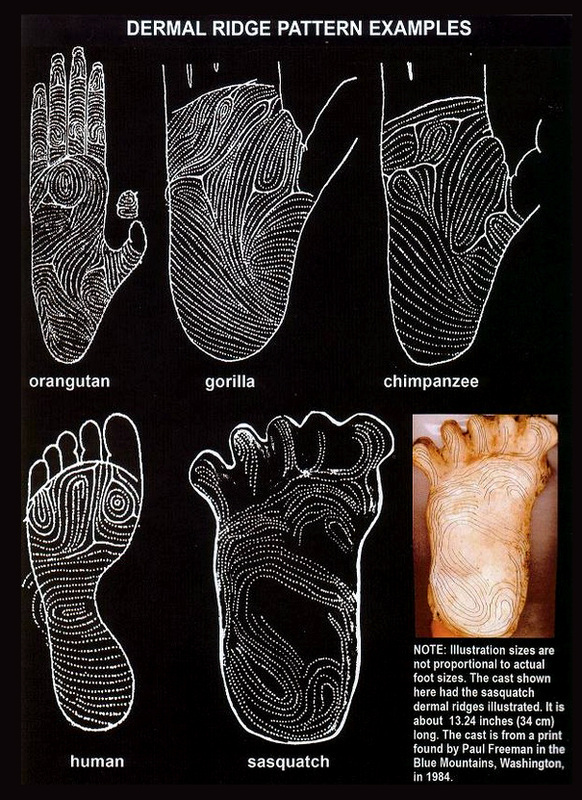 The following chart shows various primate (including human) dermal ridge patterns and those found on a sasquatch footprint cast. As it would be essentially impossible to fabricate such ridges, they may be an important indicator of sasquatch reality. It needs to be mentioned, however, that there is controversy as to the presence of what appear to be dermal ridge patterns on casts. Examples of plaster artifact lines that might appear on casts. The first might be confused with dermal ridges. 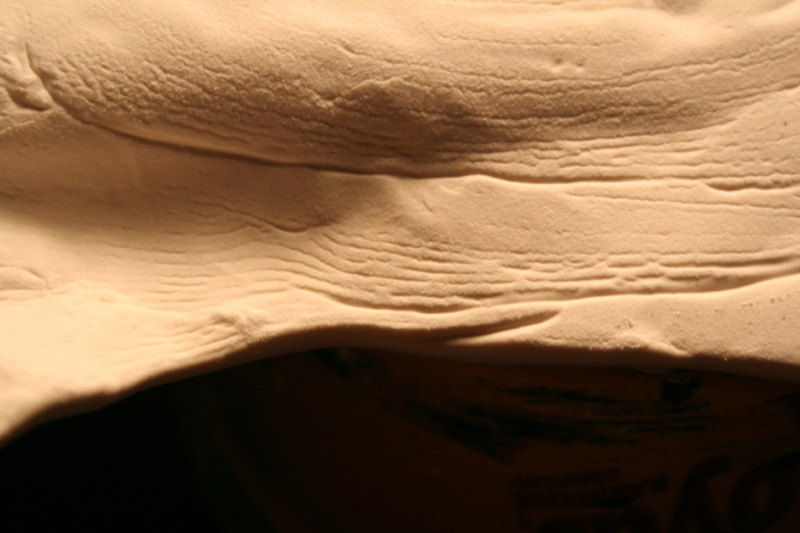 The second would not, but does illustrate that unusual lines can form in plaster.